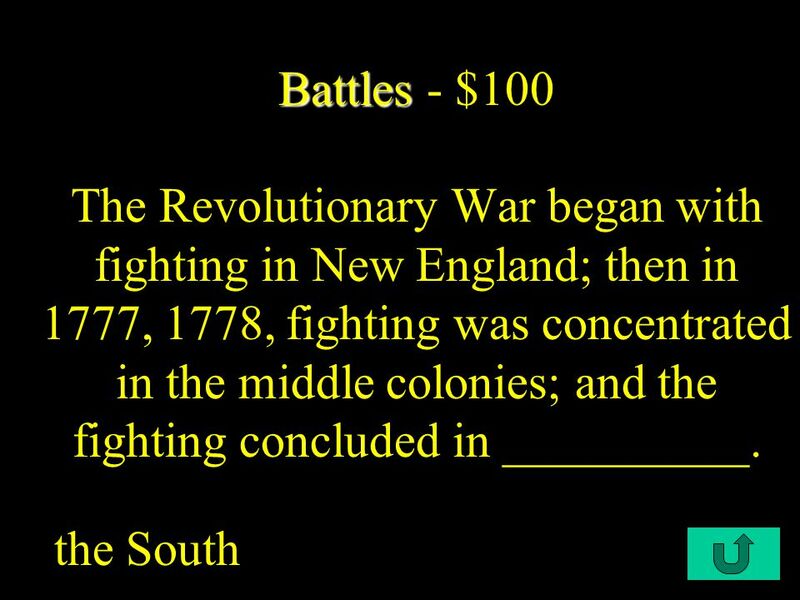 Begin $100 $200 $300 $400 $500 BattlesUSContinentalsGov.PlethoraBookOfActs. 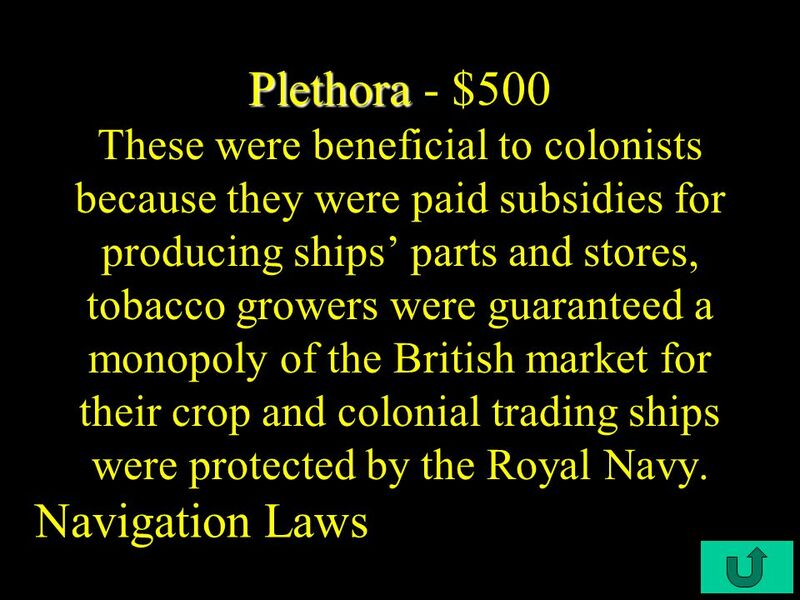 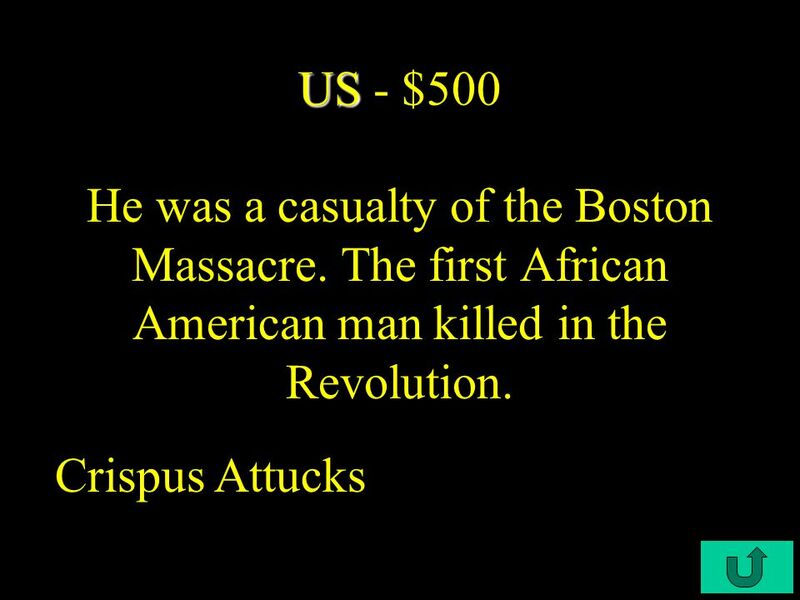 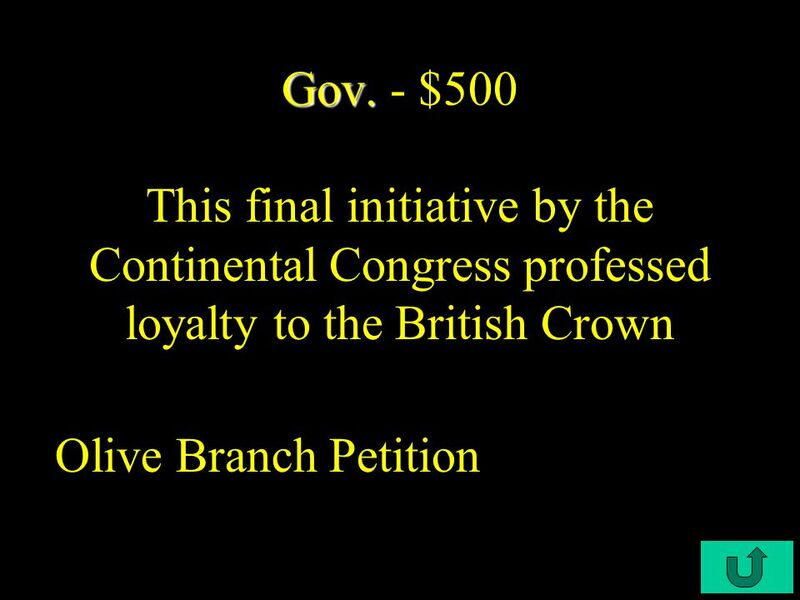 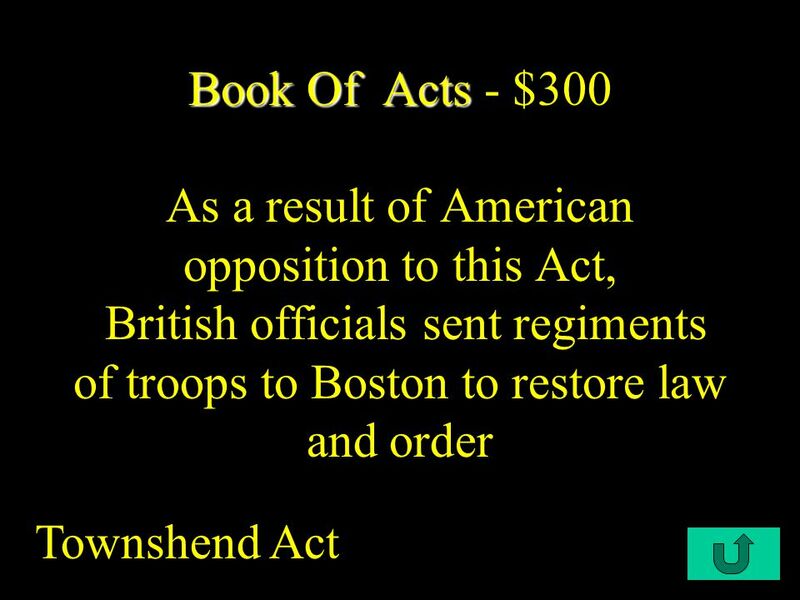 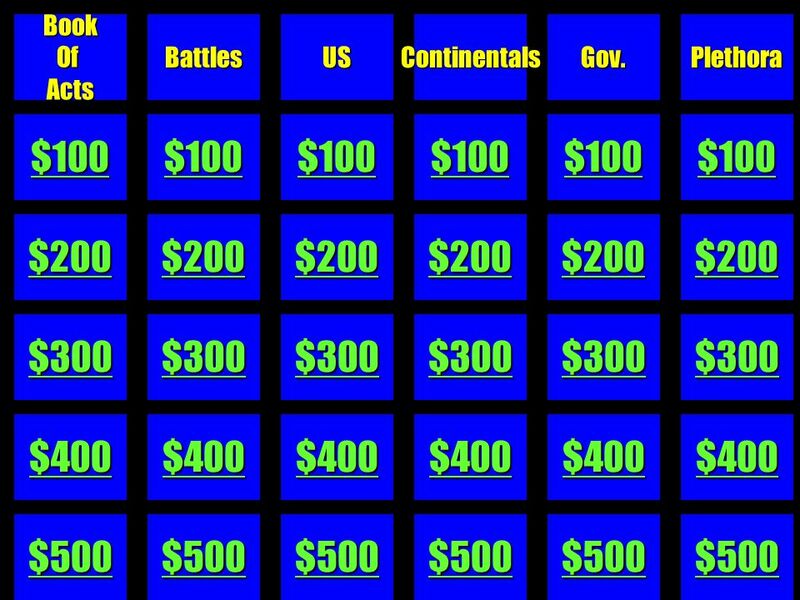 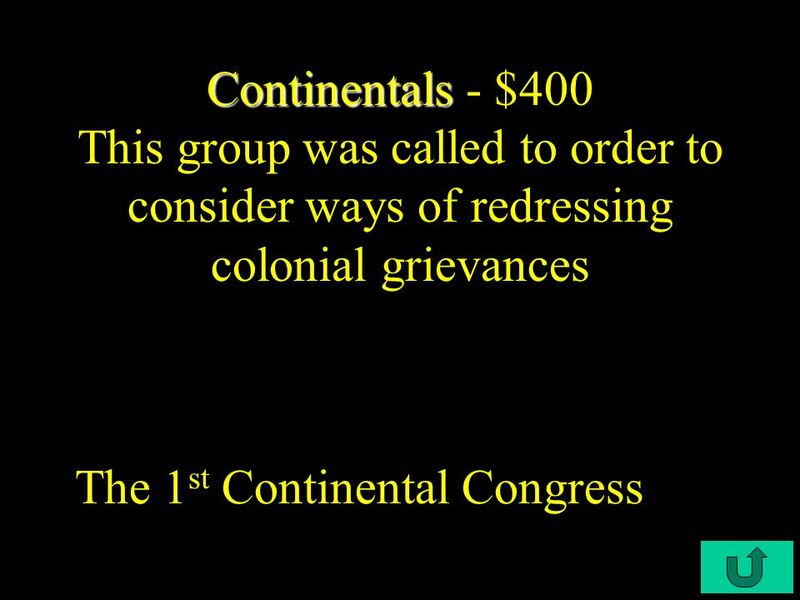 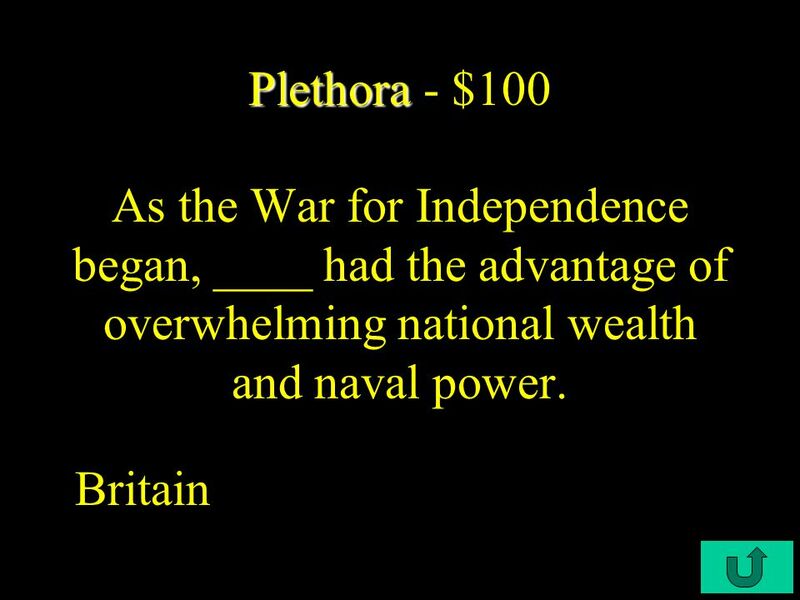 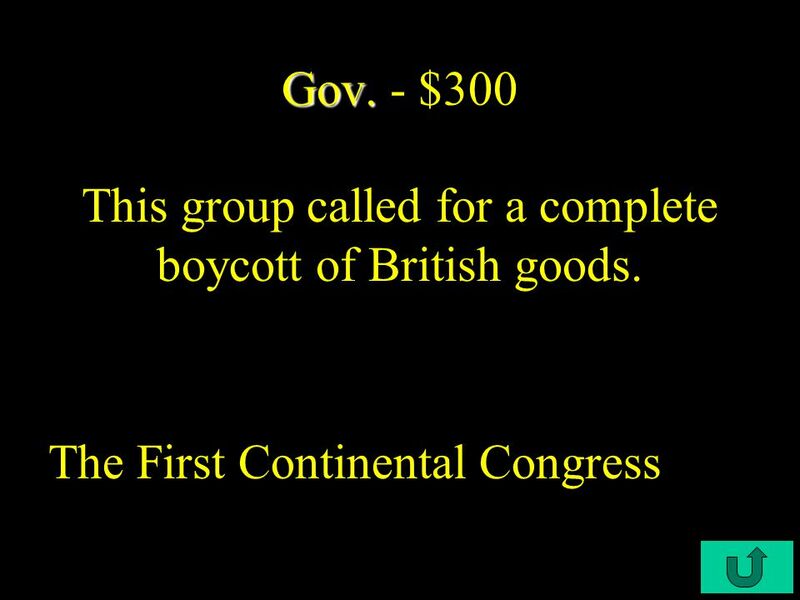 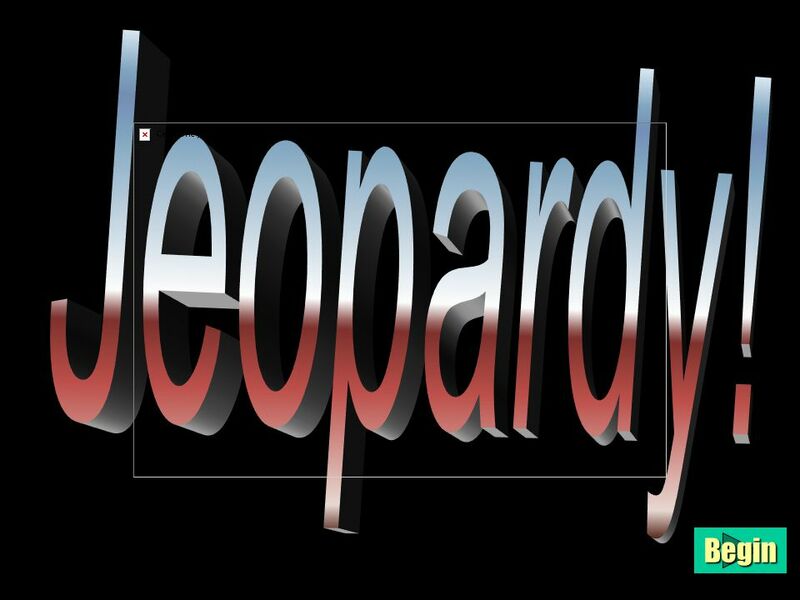 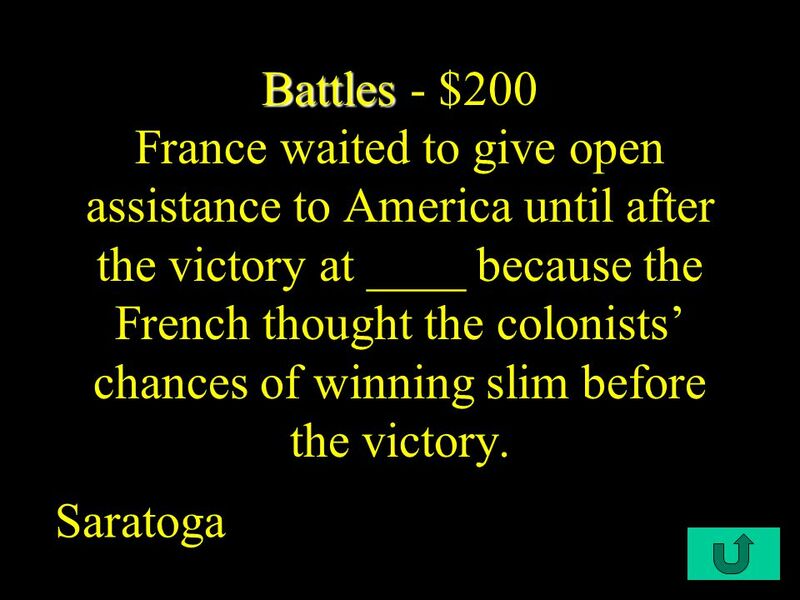 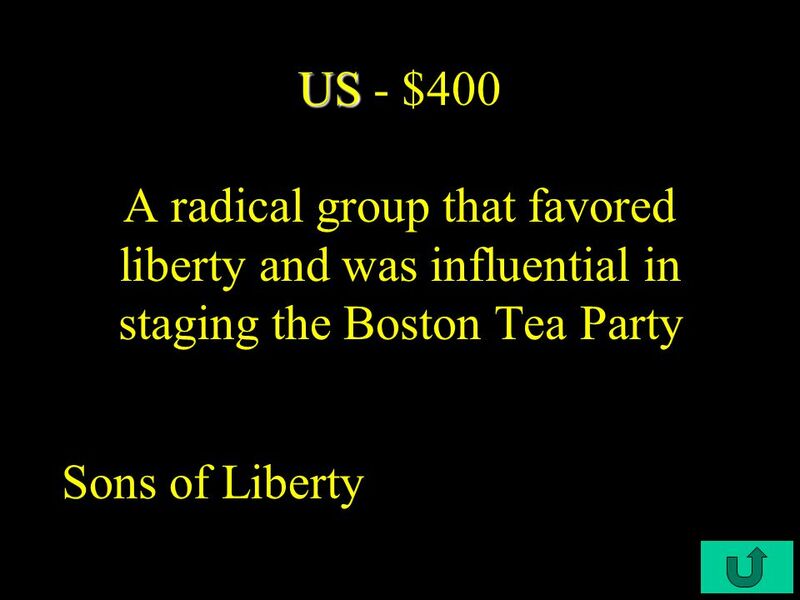 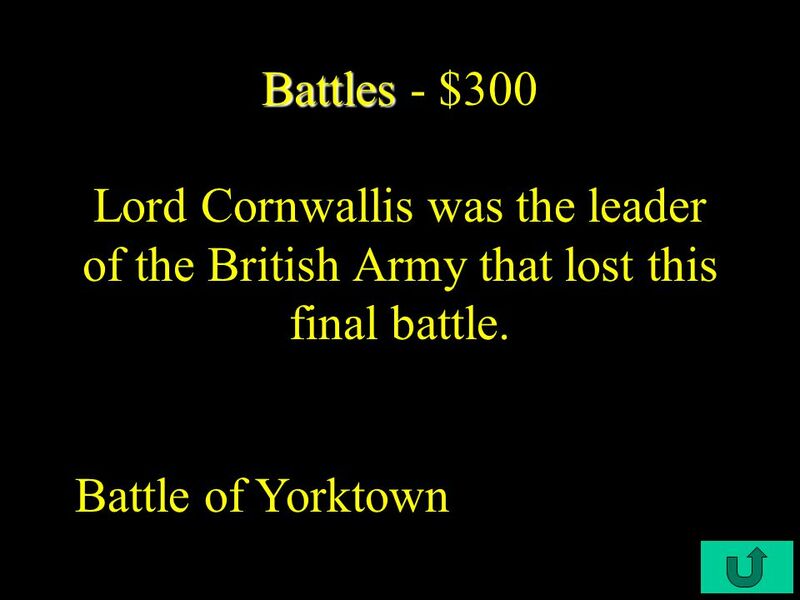 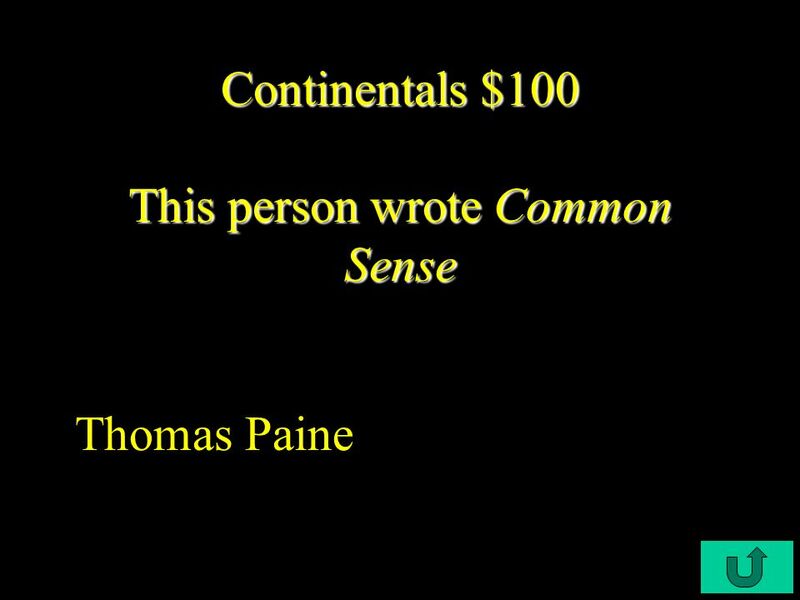 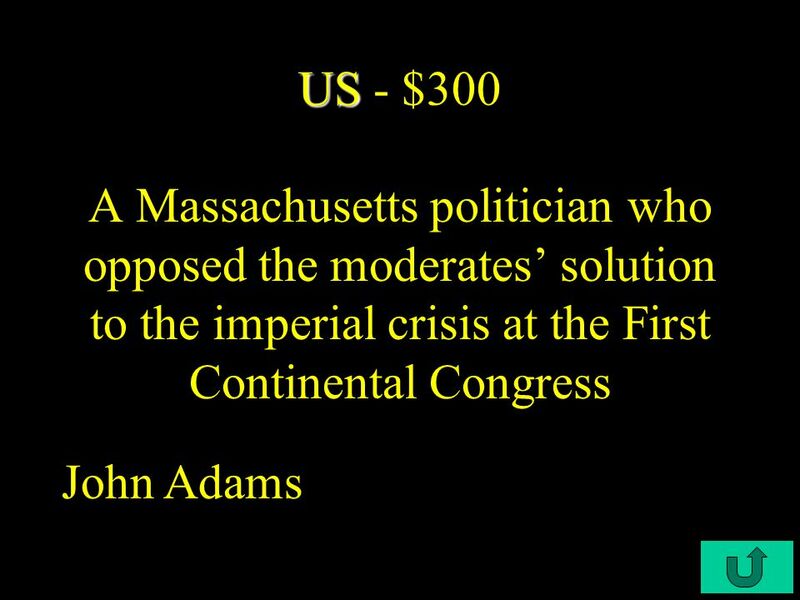 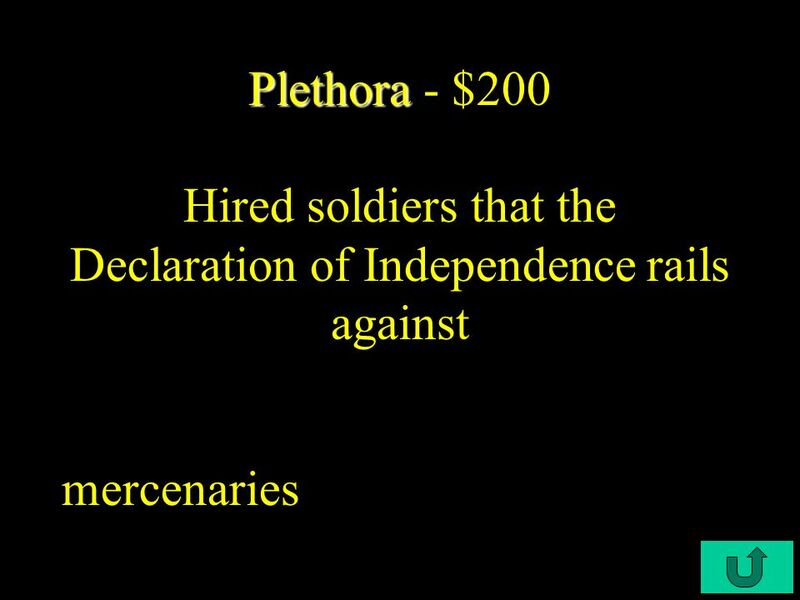 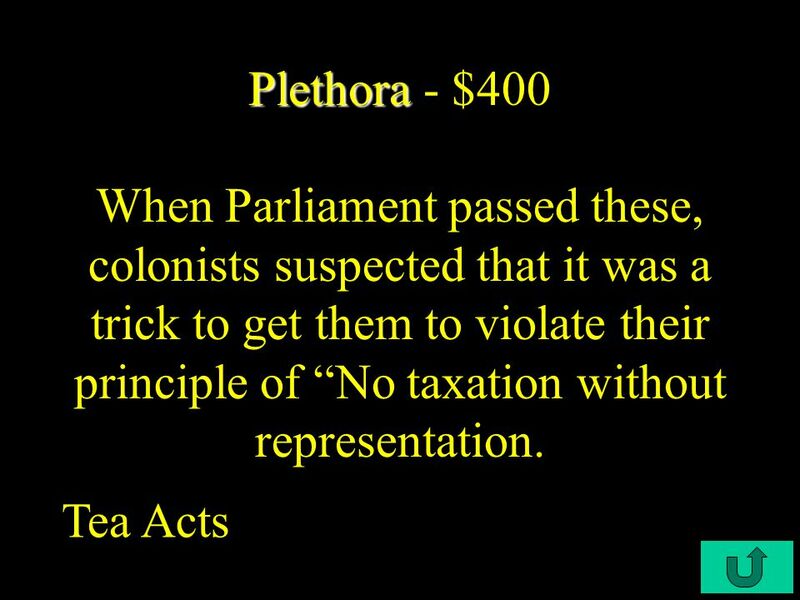 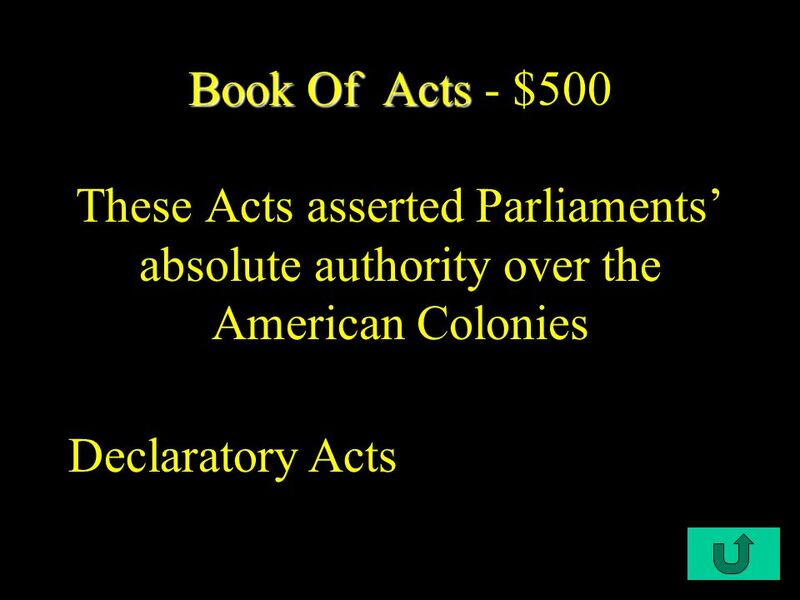 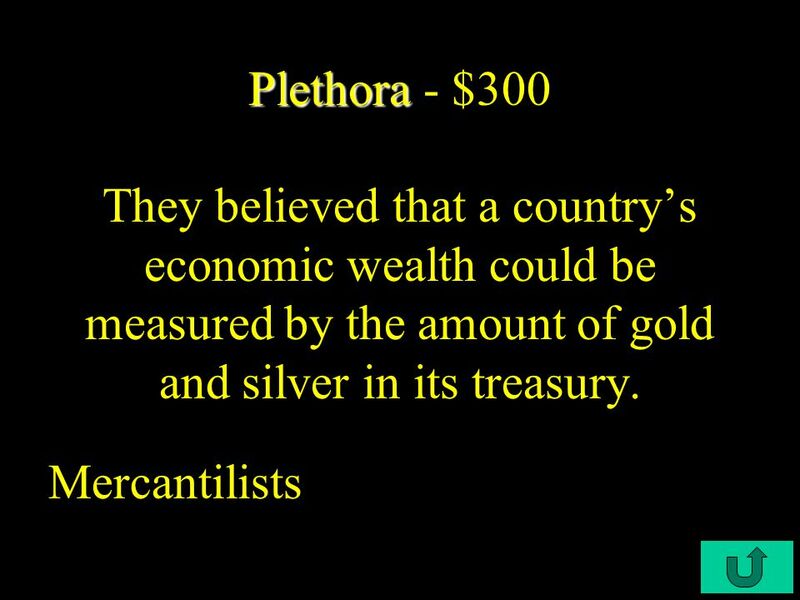 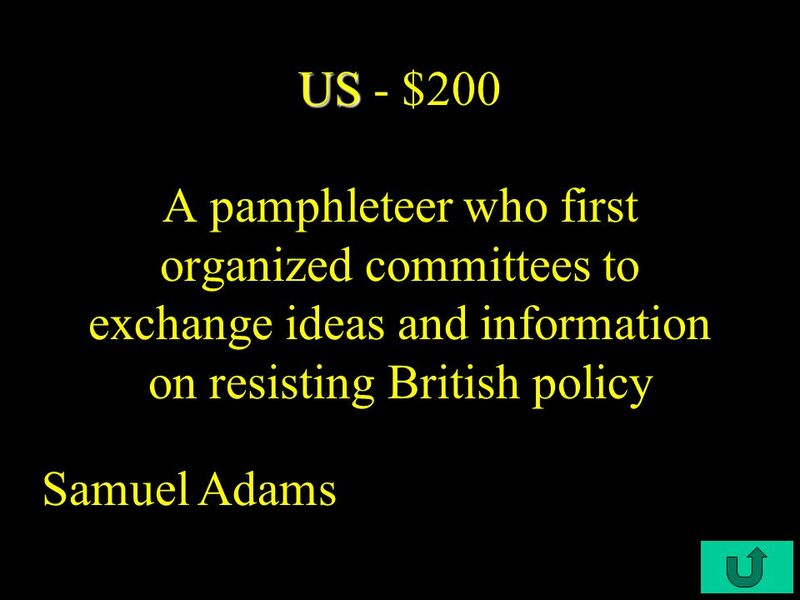 Download ppt "Begin $100 $200 $300 $400 $500 BattlesUSContinentalsGov.PlethoraBookOfActs." 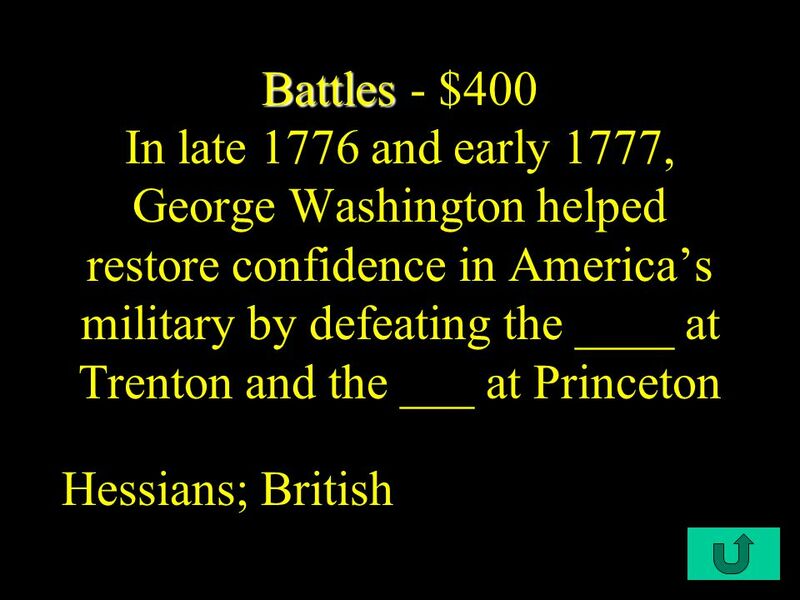 AMERICAN REVOLUTION REVIEW. 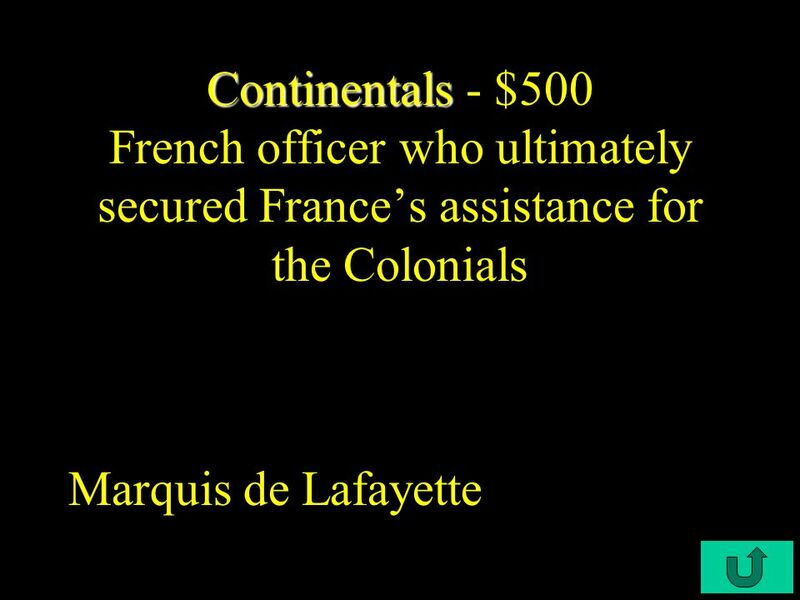 This man was general of the Continental Army. 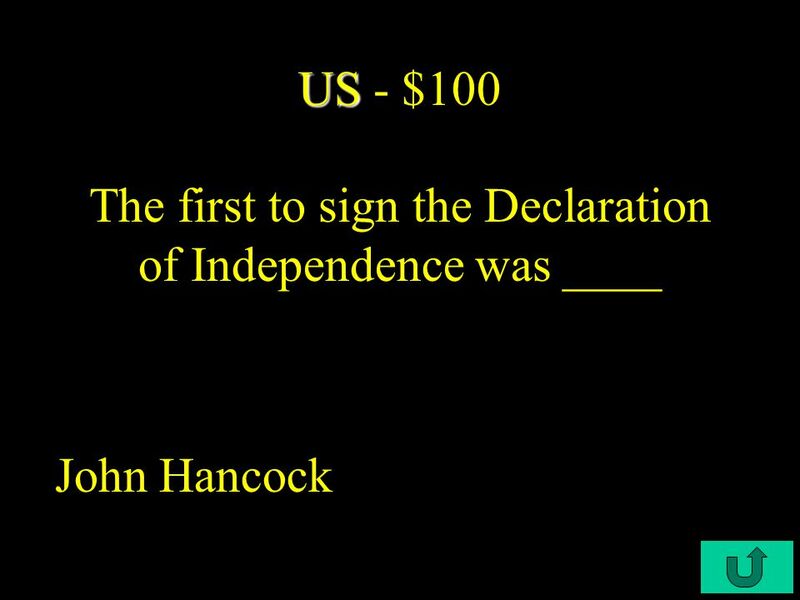 Unalienable rights- The rights of life, liberty, and the pursuit of happiness. 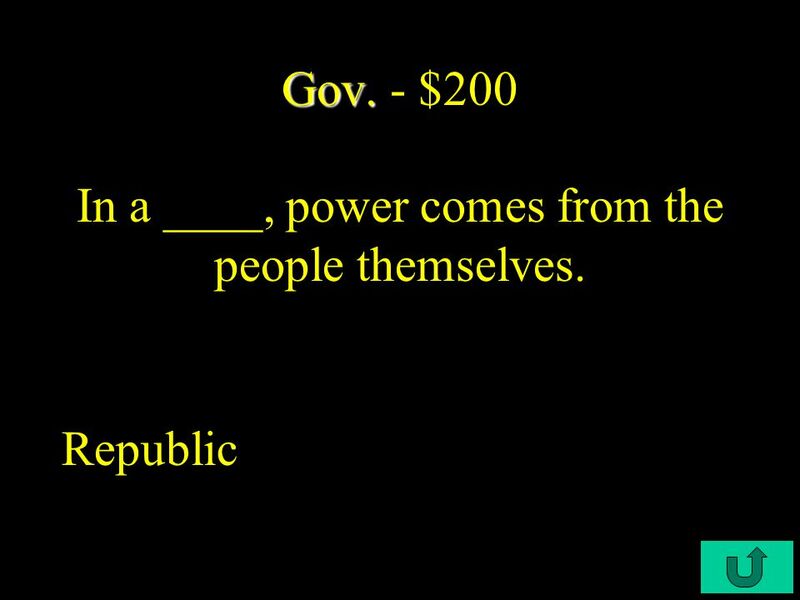 They belong to every human being. 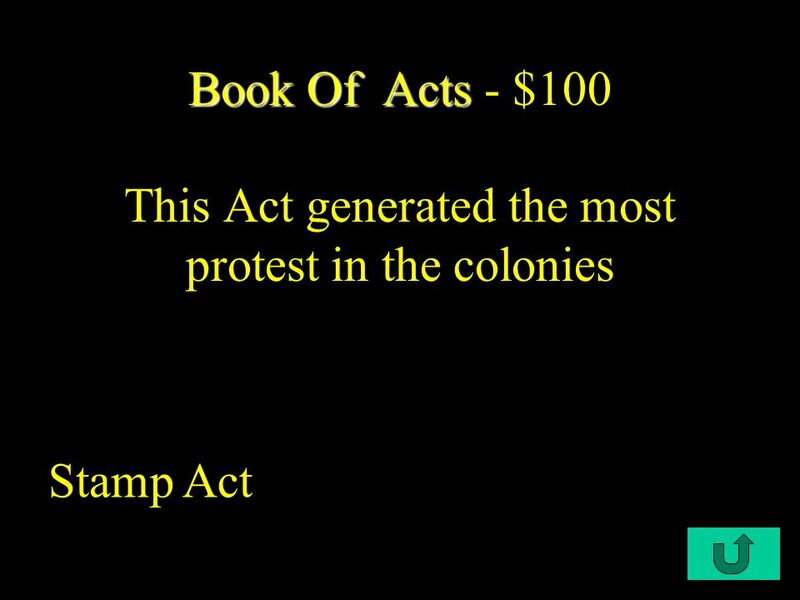 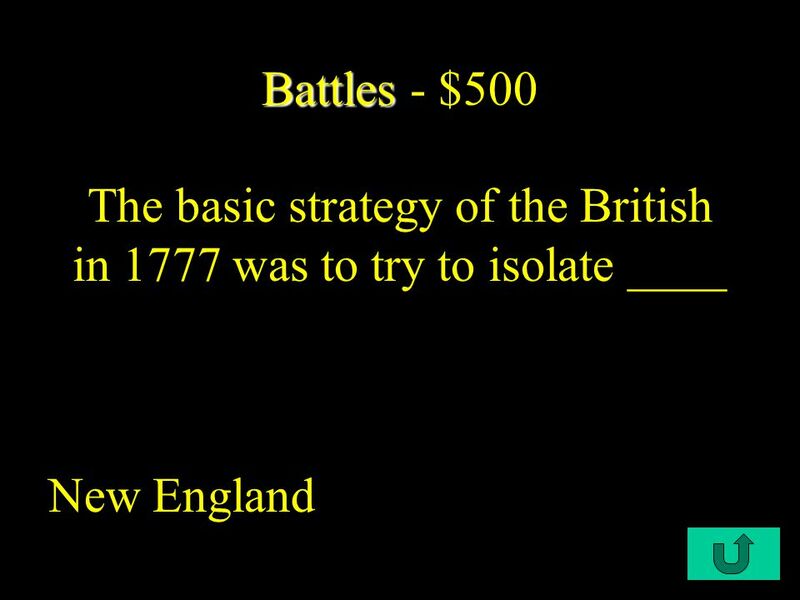 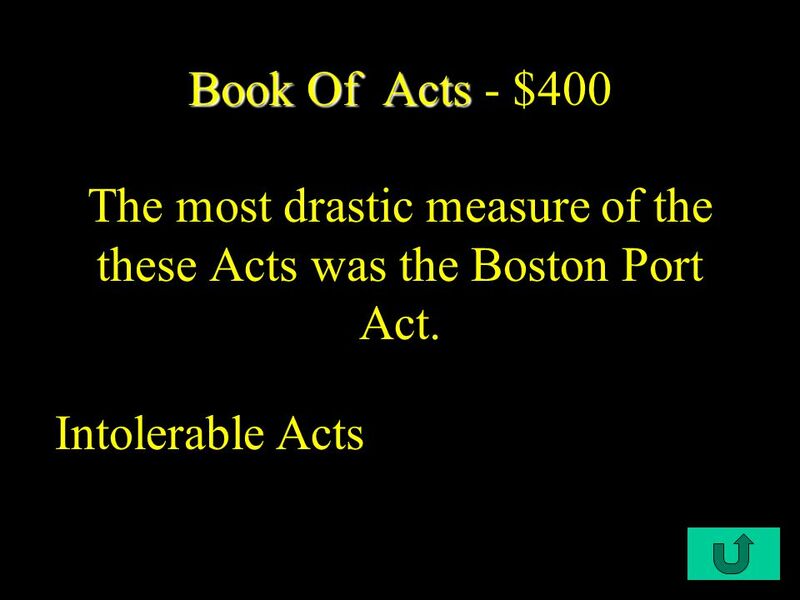 $2 $5 $10 $20 $1 $2 $5 $10 $20 $1 $2 $5 $10 $20 $1 $2 $5 $10 $20 $1 Vocabulary I Vocabulary II Vocabulary III REVOLUTIONARY WAR REVOLUTIONARY WAR. 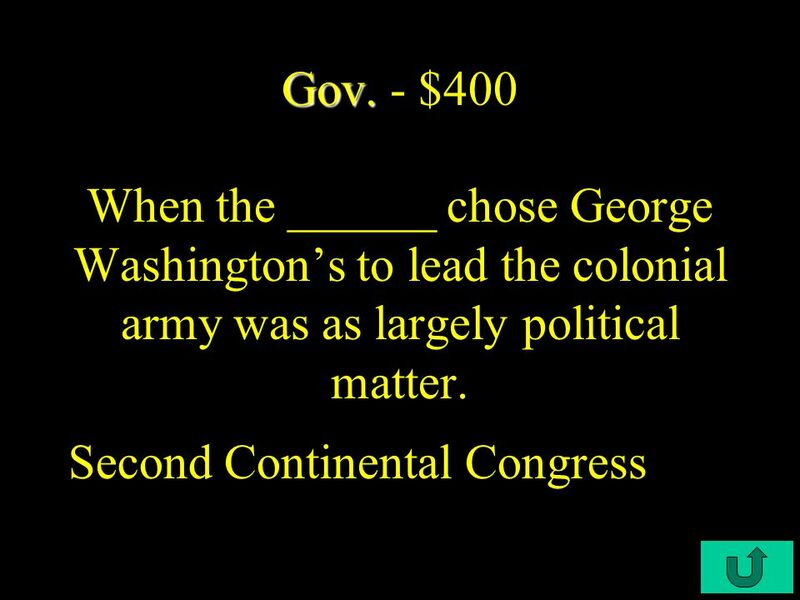 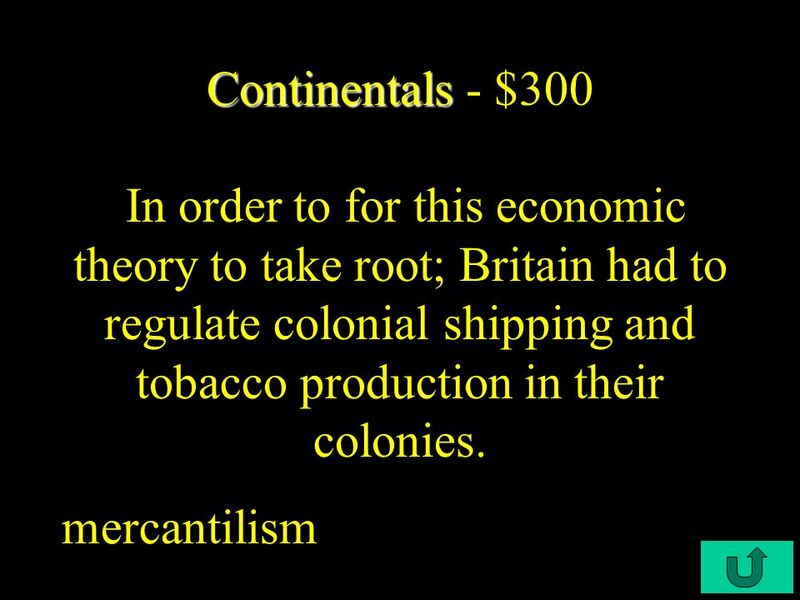 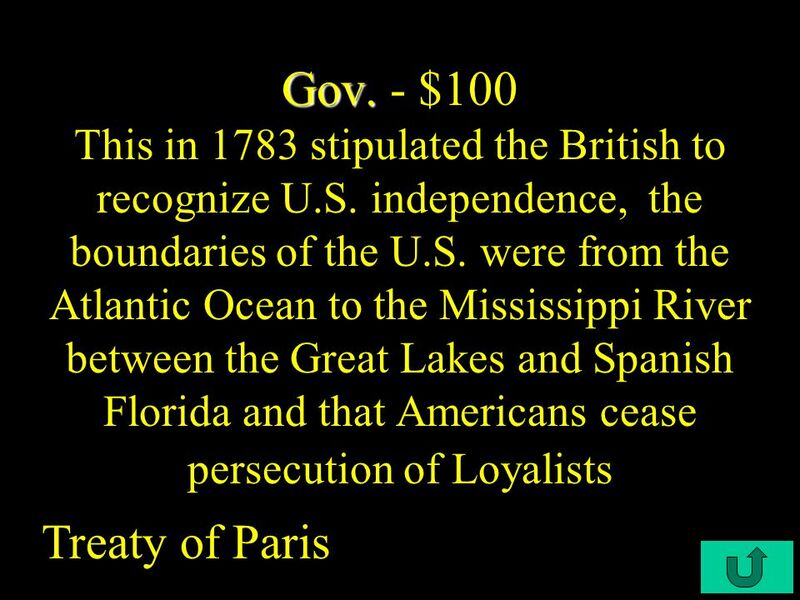 I) Roots of Conflict A) French & Indian War left England with a large debt 1 st direct tax on the colonies that said all documents had to be on officially. 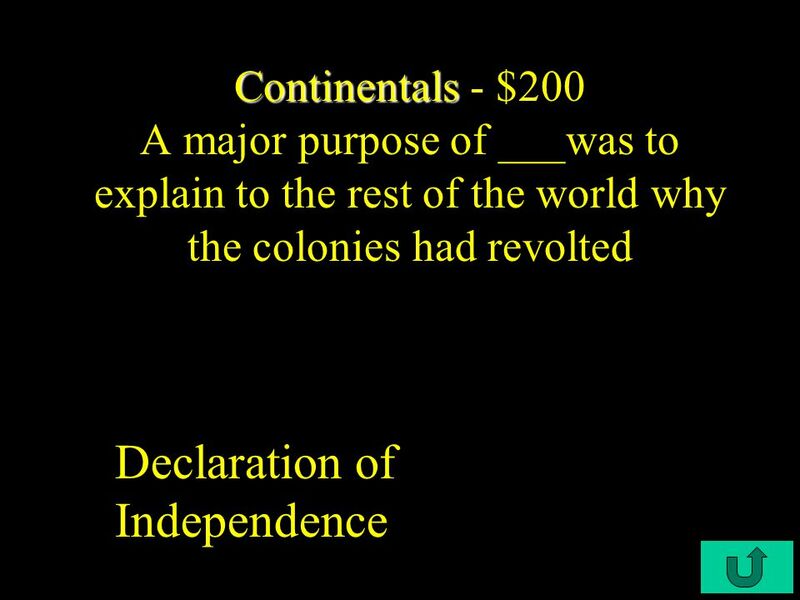 Aim: Why did the Colonists finally declare independence from Great Britain? 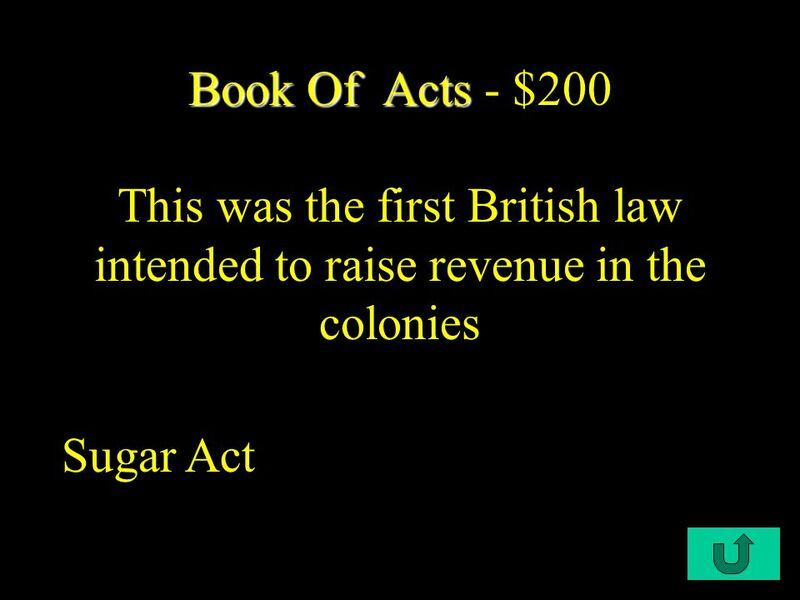 Do Now: Why did relations with Britain and the American Colonies continue to.